"We all have to see how it ends"
Bethesda has shown great support for the Switch since it was released, bringing key series like Elder Scrolls and Doom to the hybrid platform. During an interview with IGN last month, Bethesda's senior vice president of global marketing and communications Pete Hines said the demand for the publisher's IP on the Nintendo platform was huge. Although no platforms were mentioned, given the fact the Switch received the second game in the series - Wolfenstein II: The New Colossus - there's definitely a glimmer of hope the third game, whenever it is announced, will also come to Nintendo's system. In saying this, at this year's E3, when Bethesda did reveal Wolfenstein: Youngblood, the Switch was absent from the announcement list even after rumoured listings of a Nintendo version. 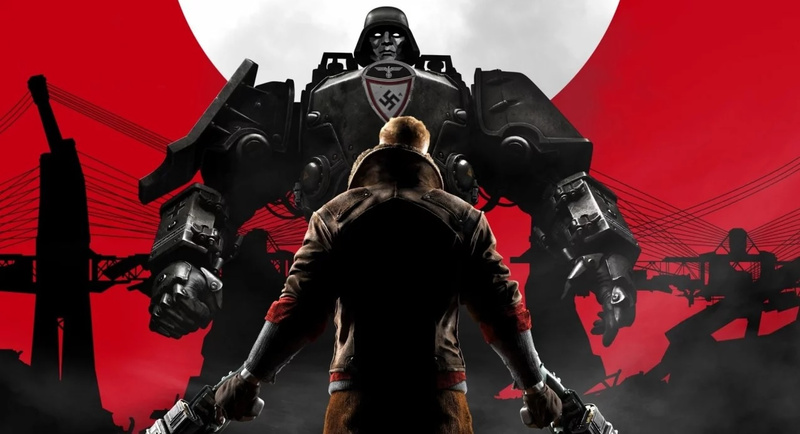 Panic Button also said around the same time there were no current plans for more Wolfenstein on the Switch when asked about the chances of The New Order and The Old Blood being ported across. The only thing for sure right now is that Wolfenstein III will eventually be released. Would you like to see more Wolfenstein on Switch? Were you impressed by Panic Button's port efforts? Tell us in the comments. Nice to see that the Bethesda supports are still strong with the Switch. Can't wait for Doom Eternal. @sandman89 massively over hyped game in my view. Bog average shooter, poor level design with a lack of focus on stealth. One of the Devs even said the weapon balance is all wrong and you can play most of the game with one weapon. I guess it depends how you find the story, but I thought it was too ridiculous even for Wolfenstein and hit too many of the same notes as the first (which was a better game by the way). And the annoying inner dialogue all the time just sounded so cheesy. Please, just give us The Elder Scrolls VI..
After playing Wolf 2 on Switch a new title would be a day one purchase. Here’s to hoping some magic can happen. That's actually shocking after the 2nd game flopped. ... and right before Call of Duty: WWII. Keep bringing great games here pls. Hoping for a better story and gameplay this time. The new colossus took massive steps backwards from The new Order. I still have to get Wolf 2 on Switch, I can't wait for DOOM Eternal, that's gonna be a day one. @Yasume it still going to happen dood and according to bethesda it sold well for them so expect wolfenstein 3 on the switch down the road. Awesome. This is a PC game in my book. But whatever platform helps it sell more copes is Good news also. Multiplats is the way to go these days. I'll tell you one thing... this will not happen on Switch. @Yasume Citation for poor sales please. @Yasume too late to popo on NSW, it has done far better then fanboys wanted to disparage it. But sorry to say NSW rules since it came out. Forget about them giving evidence to the contrary they already in their own mind say the sales must be poor so it must be poor. I understand they wouldn't make mention of the sidestories or the prequel/sequel making it to Switch, before seing how well New Colossus was received. Hopefully it all comes around eventually. Going to join in here with the others and ask how you would know. I hope it has the gunplay and action of 2 but with a story and level design more in line with The New Order, and an actual final boss. The first one is better than the second one. And this make me skeptical of the potential third one! I just hope Nintendo or whomever is in charge of this kind of decisions ups the cartridge storage so we don't have to download part of the game to the console. @Kmno you have to take it up with bethesda since its their game. PLEASE tie into the Commander Keen games! Excellent! 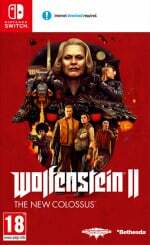 Wolf 2 was great on Switch and I'm sure with all of the Bethesda support Nintendo's been receiving, Wolf 3 will be coming over. With DOOM Eternal being day and date with the other systems, it's a no brainer. Hopefully we still see a Fallout game on Switch. I don't even care which one. 3, New Vegas or 4 is fine with me. @Sgt-Jack-V : I would kill for a port/sequel/ANYTHING Commander Keen. The heathens promised us The Universe is Toast for a 1992 release and I. AM. STILL. WAITING. Keens 4-6 are my favourite platformers of all time. Love, love, love them. Commander Keen deserves to be a monster franchise but it has all but faded in obscurity; cast aside for the likes of Wolfenstein/DOOM, while great, should not have been at the expense of new Keen games. At this point, I would even take a 3DS VC release of that painfully mediocre GBC game from 2001 (I even inquired about it yeas ago but never got a response). I've skipped Wolf II due to the fact that the full game isn't on cartridge. I have sent a message to Limited Run games asking whether they will consider issuing their own limited releases of Wolf II, L.A. Noire and perhaps even DOOM, but all they said is that their release schedule for 2018 is already set in stone. It's sad that I even need to ask them about this as Bethesda and Rockstar are big enough publishers to be releasing full games on cartridge (or at least as limited editions).